Demosaicing is the process of reconstructing a full color image from incomplete samples generated by typical image sensors. 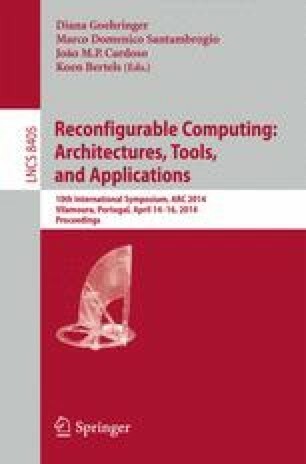 This paper discusses the Adams-Hamilton’s demosaicing algorithm and presents a high-performance and cost-effective implementation of the algorithm in Field Programmable Gate Arrays (FPGAs). The paper also presents a proposed demosaicing hardware architecture which increases the number of pixels processed in a single clock cycle by using efficient pipelining. Images obtained from our FPGA implementation are compared to images obtained from standard software demosaicing functions. Our proposed hardware architecture is shown to outperform previous hardware implementations of the algorithm. Our architecture is capable of processing up to 419 MPixels/s.